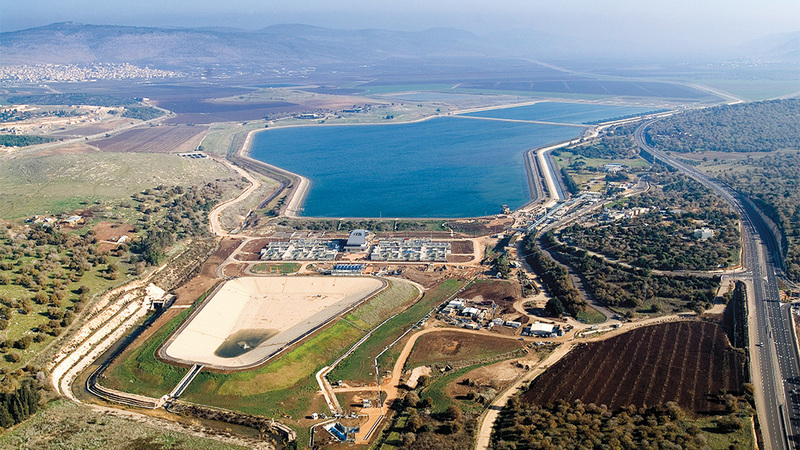 The Eshkol Central Water Filtration Plant, near Nazareth. Many of the countries that surround Israel have oil. Israel does not. Few of those countries have obvious sources of water. Neither does Israel. Somehow, though, Israel has managed to make itself a center of water technology, a place that, if you pardon the cliché because it’s true, has made the desert bloom. As it turns out, the scarcity of water and our wanton carelessness with it, our inability to see how precious it is as it trickles away, is likely to cause a crisis not limited to the Middle East. “I am a member of the Council of Foreign Relations, and about four years ago I attended a seminar on the water problem,” serial-entrepreneur-turned-Jewish-philanthropist-activist-and-advocate Seth Siegel said. “I was surprised to discover what a horrible, multi-decade water crisis is plaguing us. The U.S. government now estimates that by 2025, 60 percent of the world’s landmass and 40 of our 50 states will be facing water scarcity.” In other words, in 10 years the problems facing California now will affect almost all of us. But, Mr. Siegel — who has written about the crisis in “Let There Be Water” and will discuss it in Teaneck on November 28 (see box) — sees an opportunity in the crisis. “The amazing part is that the solution is Israel,” he said. As an AIPAC member and a strong, vocal supporter of Israel, still, “I feel that there is way too much of ‘Let me explain Israel to you in context,’” he said. Israel’s supporters always feel the need to give too much backstory, to parse and defend, to go on the defensive. That doesn’t always work. “We need a positive uplifting message,” he said. “And then it hit me like a thunderbolt,” he said. “If we are smart about it, if we can do it well, we can accomplish two things instantaneously, and they both are important. “One is to make the citizenry and elected officials aware of the problem of water scarcity, and the other one is tell a positive, true story. “I am not doing hasbara. I am not speaking for the foreign minister. I am not a defense lawyer. So Mr. Siegel decided to get to work. First, some of his backstory. 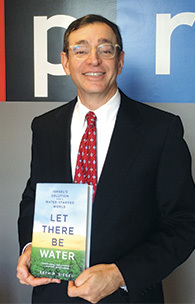 Seth Siegel sees water supply as a pipeline to peace. So the idea of writing this book appealed to him on a third, entirely personal level too. When he decided to tackle the issue of Israel and water scarcity, “a lot of my friends who have written books said that doing the research would be hard, dry, and miserable.” It was not, he reported. Research has become much easier, and much — perhaps even most — of it can be done online, he said. Blass was a brilliant engineer, who went to Poland’s equivalent of MIT before World War II; an impressive accomplishment for anyone but particularly striking in a Jew in that terrifyingly Jew-hating time and place. When he got to Palestine, one of the two survivors of his entire extended family, he worked on desalinating and sewage treatment plans for the government. Later, after he had lost at bureaucratic infighting and was moldering at home, 59 years old, impoverished, unhappy, he had “a lightening-bolt idea that will save Israel and revolutionize agriculture,” Mr. Siegel said. “For three years, he develops the technology that comes from this epiphany — drip agriculture.” Mr. Blass became very rich, and Israel benefited even more than he did..
Profiting from the work of Mr. Blass and other hydrologists, Israel today has become a world leader in water science. A wonderful “second-order benefit” of that status, Mr. Siegel says, is that it allows Israel to practice what he calls hydro-diplomacy, and that can help “limit its isolation” around the world. Until the fall of the shah of Iran, Israel provided back-channel water aid to that country; since the early l980s, it has provided the same service to China, which has dropped its implacable public disdain for Israel and instead established a diplomatic relationship with it in 1992. “Today, there are countries that you would think would have no relations with Israel based on what you read in newspapers — but you’d be entirely wrong,” Mr. Siegel said. 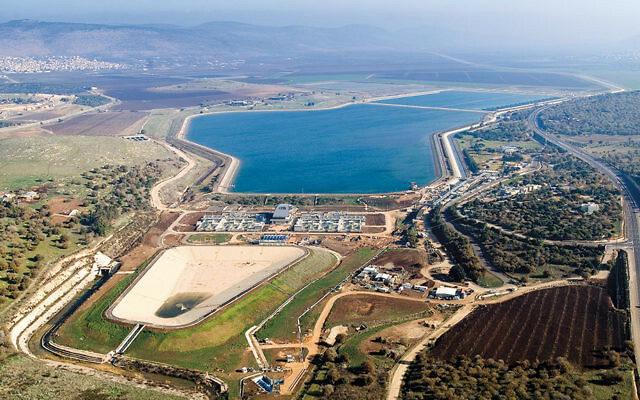 “Israel now trades water technology with 150 countries around the world. Israeli businessmen carry Israeli passports and travel to these countries. “They also carry messages, and they open doors,” he added. He is not allowed to name those countries, he said; he had to promise that secrecy in order to learn about the relationships. Another aspect of water diplomacy has to do with the West Bank, Mr. Siegel said. “We read only about the implacable hatred between the Israelis and the Palestinians, but water is a pathway to peace and dialogue and cooperation. “Fifty-five percent of the West Bank’s water comes from Israeli sources. So the water they are drinking in the West Bank is the same as the water they drink in Tel Aviv. “Israel built a very sophisticated water system for the Palestinians when they conquered the West Bank,” he continued. “Then, less than 10 percent of the population there had running water. Today, 97 percent of the West Bank has running water in their home — the other three percent is Bedouin encampments. It is an amazing quality-of-life improvement, whether or not they acknowledge that it is from Israel. “Israel trains most of the Palestinian water engineers. It is a very good people-to-people dialogue; it brings them to Israel for a week at a stretch to educate them. The Israelis also provide water to Gaza. His book was published right after the holidays, and he began touring universities to talk about it, Mr. Siegel said. Most of his audiences are not Jewish. “I have spoken in more than 40 venues, and what amazes me is the degree to which this resonates with audiences. “I expected hostile audiences, but only one time was there ever a hostile question, and then it was just one. The audience are primarily Asian and South American students.